Official RELEASE | Lucenria has officially launched! 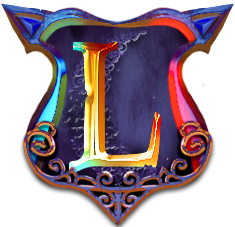 First and foremost, thank you to each and one of our wonderful beta testers that reported bugs and provided valuable feedback to help make Lucenria's launch as smooth as possible. However, please don't be startled if you still encounter bugs! Report them to us and we'll do our best to resolve them quickly. Lucenria has many exciting features to enhance your Minecraft experience. Whether you enjoy building amazing towns, RP, PvE, or PvP, there's plenty for you to do. In addition, we have many future updates and events planned. Please feel free to head on over to our forums to introduce yourself and provide any suggestions or feedback you may have. Lord__Ryan and I have created separate profiles in-game so we can play with you guys! We look forward to being able to enjoy our server with you. With that being said, we'll see you in-game!